Canon’s Machine Vision RV-Series is made up of a group of systems that are specifically designed to work as the “eyes” of robotic arm systems. The RV1100, RV500, and RV300 utilize cutting-edge image recognition, data-processing, and optical technologies. The RV-Series’ simple preparation with CAD data and image files, and the ability to accurately recognize various parts facilitates the automation and acceleration of parts-provision processes. 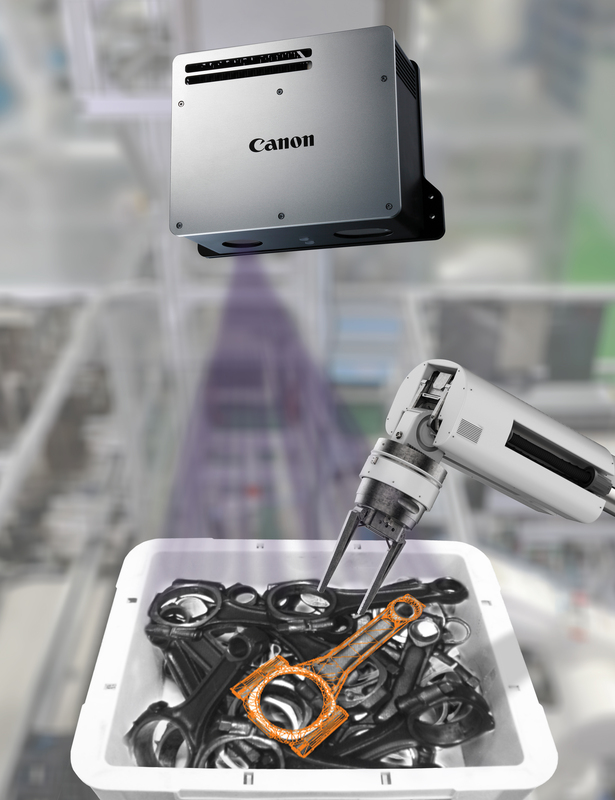 Benefits for using these machine vision systems include one-time measurements of 3D pose, high-speed recognition, improved productivity, and reduced production costs. This series is ideal for use in industrial production applications such as automobile parts manufacturing, car manufacturing, and electronics manufacturing. For more information on the RV-Series’ including features, specifications, and working examples, download the brochure.